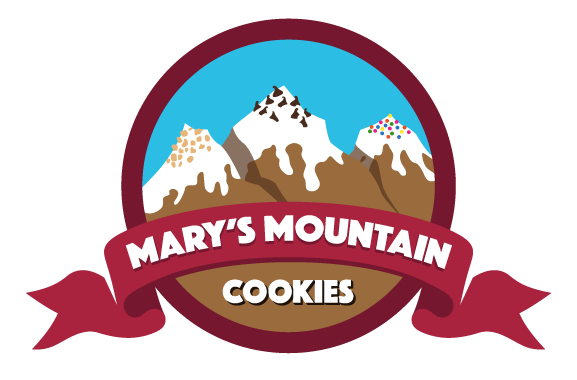 Mary's Mountain Cookies | Headquarters in Fort Collins, CO | Order Cookies Online! Mary's Mountain Cookies has been serving freshly baked cookies nationwide and shipping them all around the world since 1986. Our flagship store is located in Fort Collins, Colorado at Front Range Village Shopping Center. You won't want to resist the delicious aroma pulling you down the street to one of our cookie stores. Staffed with cookie lovers, all six of our locations are ready to brighten your day. Enjoy any of a variety of tasty treats, including edible cookie dough and scrumptious quarter-pound cookies and brownies, or create your very own ice cream-filled cookie! Let us be a part of your next event. Our giant cookies, cookie gift baskets and cookie trays will make your wedding, fundraiser or small get-together a success!